MacSwift is the PUP that uses misleading techniques to prevent removal. Use Reimage to locate malicious components and get rid of them faster than with uninstall instructions. A full system scan blocks virus reappearance and prevents traffic to malicious domains. Adware is one of the most popular malware types that target Mac operating systems nowadays. 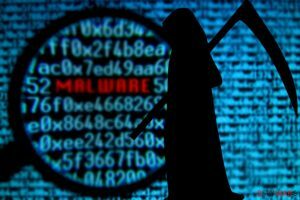 MacSwift virus is one of those programs that keep placing banners and in-text links on websites the victim visits. On top of that, it is also capable of opening new browser windows and loading third-party offers in them. The activity of MacSwift is incredibly annoying, and it goes without saying that such virus should be removed from your PC ASAP. You can use Plumbytes Anti-MalwareMalwarebytes Malwarebytes or Reimage for that. It is important not to confuse MacSwift with Apple Swift, which is a programming language created by Apple. These two have nothing in common, and the latter one shouldn’t be regarded as something dangerous. The adware we described collects various third-party offers and displays them, willing to redirect the user to partner sites and generate revenue this way. Unfortunately, it causes these redirects without even checking the final destination’s reputation. As a consequence, victims can be pushed into hazardous or phishing websites. Although Mac Swift adware isn’t malicious itself, it is important to be extremely careful when using a computer that has been infected with it. 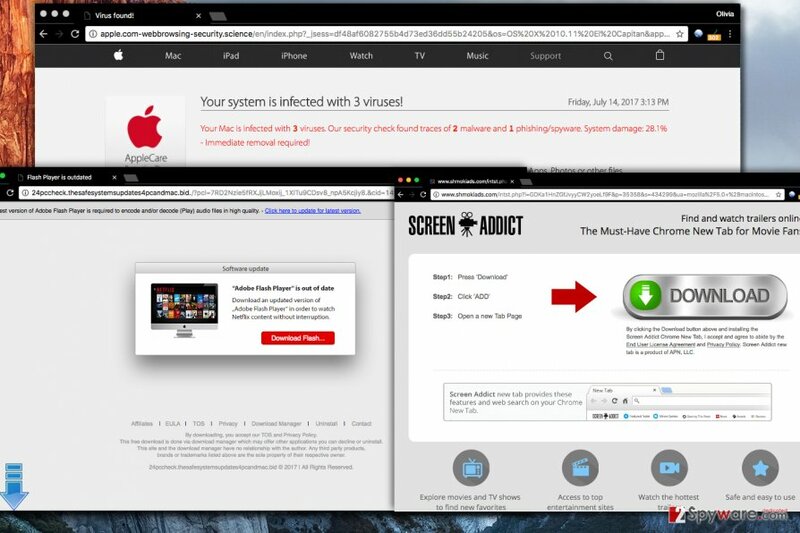 MacSwift is an annoying Mac virus that displays intrusive ads daily. It can automatically open new browser windows and open predetermined third-party sites. To cleanse your Mac, remove MacSwift from it. You can try anti-spyware programs for its removal, or you can follow instructions we prepared. 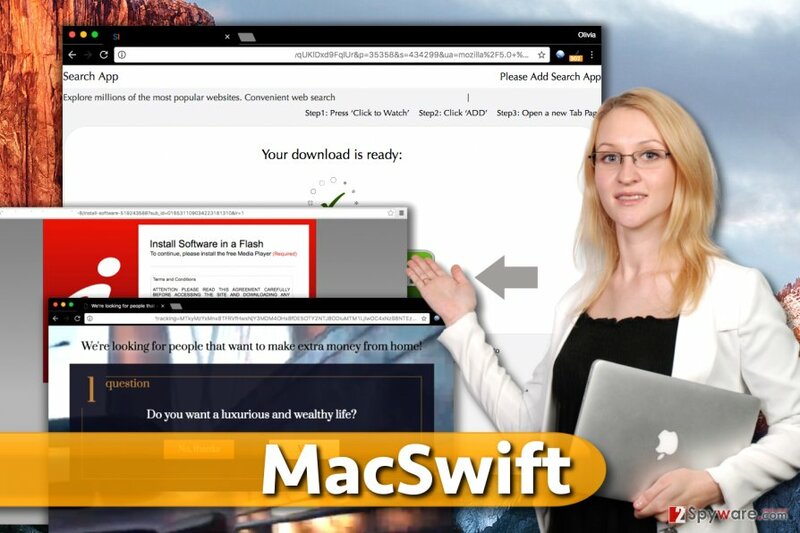 The most important thing to remember is that you shouldn’t delay MacSwift removal. There is no need to let it stay on the operating system because it causes security and privacy related issues. Adware designed for Mac operating systems is promoted via dubious ad networks and can be installed by curious users; however, they typically get into computer systems with the help of software bundling. App bundling gives the user an opportunity to get some extra programs to the computer along with the primary program that one chose to install. Unfortunately, programs promoted via software packages usually appear to be dangerous or simply untrustworthy. In most cases, they belong to adware or browser hijackers’ category. To decompose software bundle, the user has to choose Custom or Advanced installation option. These options expand the list of software components and introduce the additions to the user. At this point, one can deselect untrustworthy extras that weren’t supposed to come with user’s download. Mac computers are prone to adware attacks; however, you can remove MacSwift virus and similar programs quite easily. Usually, it is enough to remove suspicious entries from Applications folder and reset affected web browsers. However, we insist that you follow instructions provided below for a successful MacSwift removal. Once you remove the adware, consider checking the entire system with an anti-spyware or anti-malware program. Nowadays, there aren’t a lot of security program for Mac OS, but you can use those we listed below the article. Remove MacSwift by cleaning the Applications folder from suspicious apps. Find programs that you cannot remember installing, select them and drag them to Trash folder. Empty Trash folder afterward. Wait until you see Applications folder and look for MacSwift or any other suspicious programs on it. Now right click on every of such entries and select Move to Trash. When in the new window, check Delete personal settings and select Reset again to complete MacSwift removal. Once these steps are finished, MacSwift should be removed from your Microsoft Edge browser. Here, select MacSwift and other questionable plugins. Click Remove to delete these entries. Now you will see Reset Firefox to its default state message with Reset Firefox button. Click this button for several times and complete MacSwift removal. Try to find suspicious extensions in Chrome. If you detect MacSwift in chrome://extensions panel, delete it ASAP. Here, select MacSwift and other malicious plugins and select trash icon to delete these entries. Click Reset to confirm this action and complete MacSwift removal. Check Safari's extensions for MacSwift components. Here, select Extensions and look for MacSwift or other suspicious entries. Click on the Uninstall button to get rid each of them. Now you will see a detailed dialog window filled with reset options. All of those options are usually checked, but you can specify which of them you want to reset. Click the Reset button to complete MacSwift removal process. ^ Ben Lovejoy. Mac malware continues to grow, reports McAfee, but is again mostly adware. 9to5Mac. Apple News & Mac Rumors Breaking All Day. ^ VirusActivity. VirusActivity. The Latest News about Computer Viruses. ^ Apple Swift. Apple. The Official Apple Website. This entry was posted on 2017-07-26 at 09:22 and is filed under Adware, Viruses. You can quickly scan the QR code with your mobile device and have MacSwift virus manual removal instructions right in your pocket. How did you remove MacSwift virus?